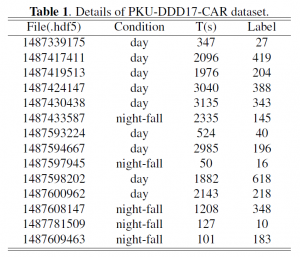 The PKU-DDD17-CAR Dataset is constructed by National Engineering Laboratory for Video Technology (NELVT), Peking University. The dataset contains 3155 hybrid sequences in driving scenes, which consist of images, event streams and handed car labels. 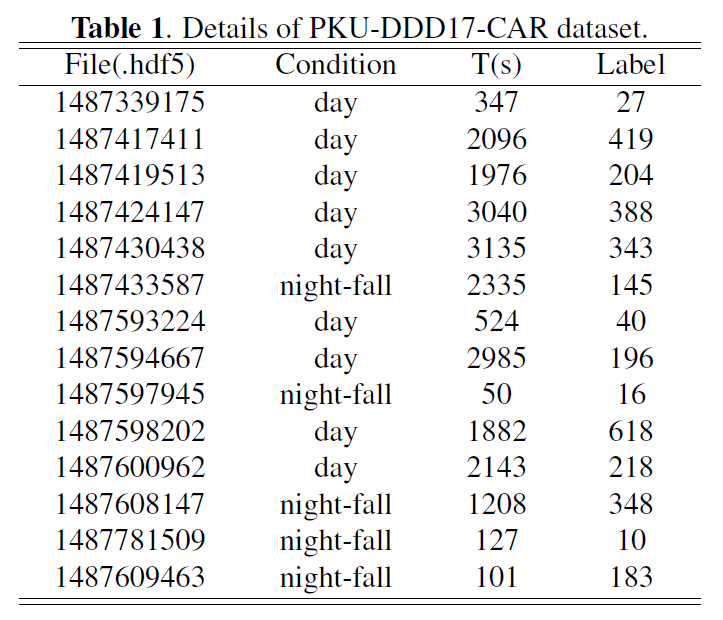 Specially, we first collect from DDD17 dataset, which has over 400GB and 12 hours of 346*260 pixel DAVIS sensor recording highway and city driving in daytime and night-fall conditions. Then, we provide the hand-label dataset by synchronizing frames and event streams. 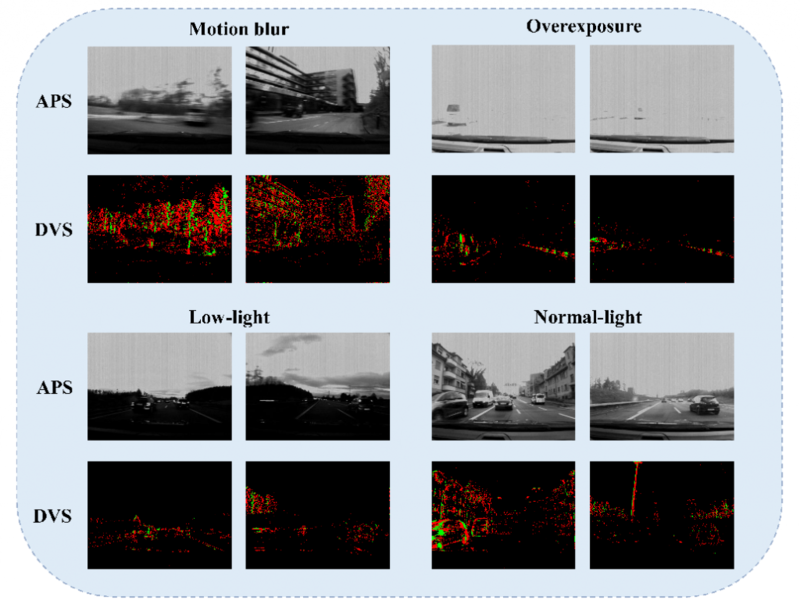 As shown in Figure 1, four representative scenes are motion blur, overexposure, low-night and normal-light. In addition, more details are illustrated in Table 1. Figure 1: Four representative scenes in driving scenes. Jianing Li, Siwei Dong, Zhaofei Yu, Yonghong Tian, Tiejun Huang. Event-based vision Enhanced: A Joint Detection Framework in Autonomous Driving, IEEE International Conference on Multimedia and Expo (ICME), 2019. Janathan Blnas, Danlel Nill, Shih-Chil Liu, Tobi Delbruck. DDD17: End-To-End DAVIS Driving Dataset. Proceedings of 34th International Conference on Machine Learning (ICML), 2017. Address: Room 2604, Science Building No.2, Peking University, No.5 Yiheyuan Road, Haidian District, Beijing, P.R.China. ©2013-2019 Institute of Digital Media, Peking University, China | Maintenance | Powered by WordPress | 51 queries in 0.057 seconds.